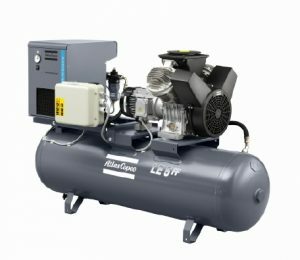 Rent an air compressor during maintenance / repair & stay productive! Compressed air systems are a critical component of many businesses. When these systems stop working, it becomes a big problem. The compressed air experts at Arrow Max understand the urgency of getting your air compressor back online as quickly as possible, but sometimes an immediate repair is not possible. For these circumstances, we provide rental of portable backup air compressors during periods of maintenance and repair. From dental air compressors that power important tools, to food processing compressors which clean packaging, to compressors at water treatment plants that provide our drinking water, air compressors and vacuums run a variety of systems that we rely on in our professional and personal lives. If your compressed air systems going down for a brief moments costs you money and hurts your business, working with Arrow Max to put together an air compressor maintenance plan is a great first step. Please call 510.828.7555 or email us today. We look forward to working with you to keep your compressed air systems running optimally.